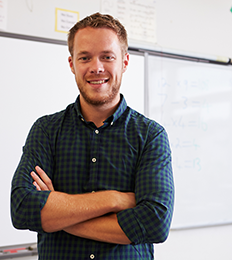 We are always seeking qualified, dedicated full-time, part-time, and substitute teachers. Educating our children is an important and challenging responsibility. Sentinel Elementary District teachers share a dedication to inspiring, nurturing, and guiding our youngsters to achieve academic and personal success. We’d love to have you as part of our team. Contact our school office for more information on current openings and opportunities. Obtain your Arizona Fingerprint card. The easiest way to start the process is to schedule an appointment in our district office. We’ll get the process started and provide all necessary materials. You then simply mail in the check and the application/fingerprints. This process may take a month or more. Obtain an official copy of your college transcripts. Transcripts must be official with the original seal or stamp of the registrar from the college where you obtained your bachelor’s degree. Download and complete an application for certification from the Arizona Educator Certification website. These forms are also available at our district office. Complete the Certification Application form, and submit the correct fees by money order, cashier’s check, or personal check made payable to the Arizona Department of Education (ADE). To receive your substitute certificate, submit all of the above to the Arizona Department of Education-Certification Unit. Additional information is available on the ADE website at the link above. Once you receive your substitute certificate, complete a certified application, and turn it in with copies of your certificate, transcripts, fingerprint card, and resume to our district office.